HALO - Stock Flight Systems - Designed to fly. 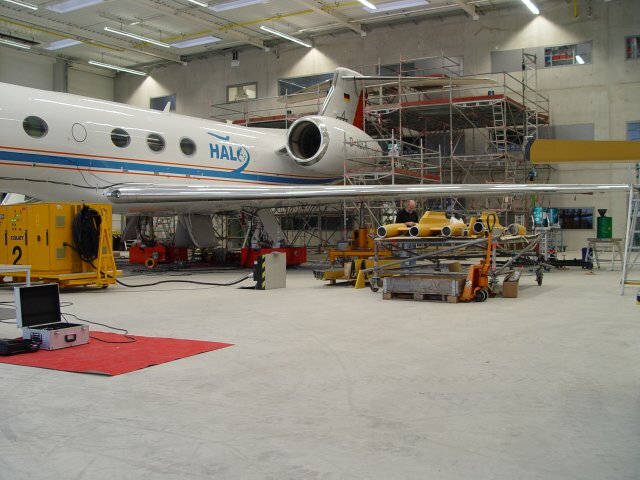 The HALO project is based on an initiative of the entire German atmospheric science community. 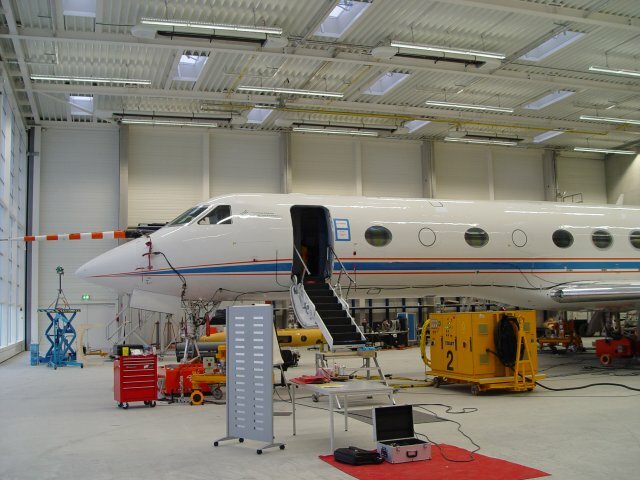 HALO, a highly modified Gulfstream G550, is the next generation atmospheric research aircraft of the German Aerospace Center DLR. The concept behind HALO is to provide an optimal platform for airborne atmospheric science and earth observation, a well-equipped flying laboratory that allows the scientists onboard to completely focus on their own experiment. 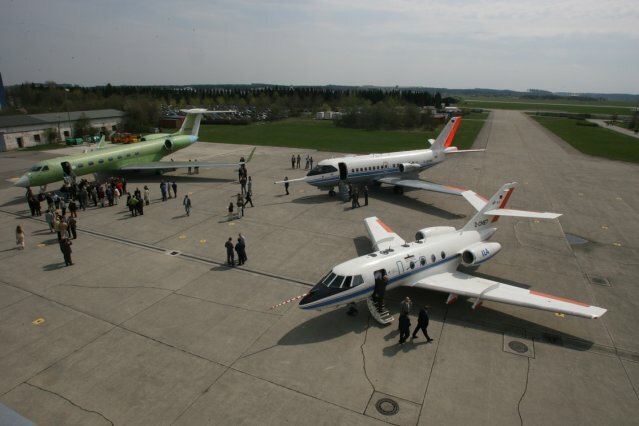 In order to be a suitable platform for environmental research, HALO has to provide additional electronic interfaces that are added to the basic aircraft. These modifications of the aircraft electronics are prerequisite to operate any scientific instrumentation on HALO. 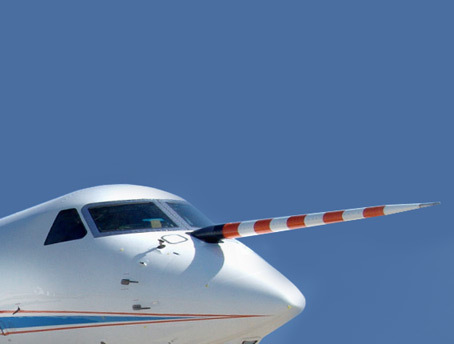 HALO will carry a basic sensor package and data acquisition system in order to provide a complete set of meteorological and aircraft data to each user. The envisaged sensor package on HALO will be more complete than the ones on the present research aircraft and it will use new sensor concepts and better sensor equipment. 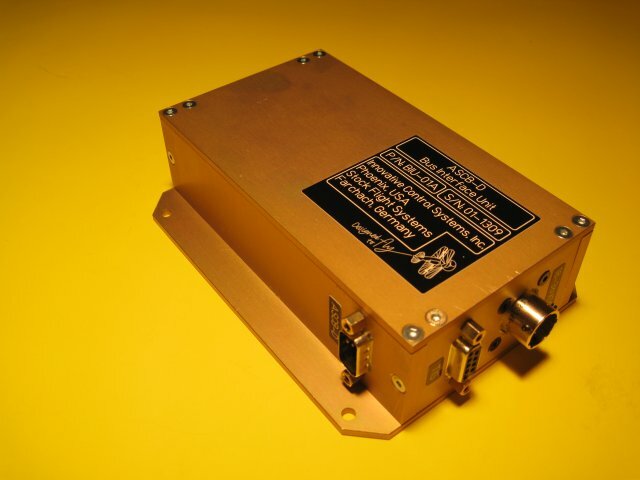 Together with our partner company ICS, Stock Flight Systems designs, develops and integrates a Telemetry Interface System (TIS) which provides access for all research systems to HALOs Honeywell ASCB-D avionics data bus. TIS performs the entire task of decoding the network data, preprocessing it and delivering flight and aircraft state data for flight test and mission flights in real time. Additionally, it provides a CANaerospace/ARINC 825 network interface for future installations.